Vancouver, British Columbia – A.I.S. 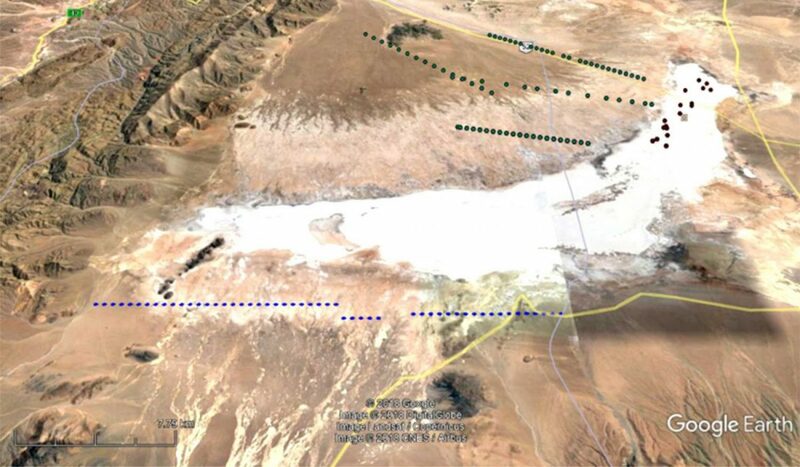 Resources Limited (TSX: AIS, OTCQB: AISSF) (the “Company” or “AIS”) is pleased to report completion of the previously announced Time Domain Electromagnetic (TDEM) survey at the Salinitas lithium brine joint venture project (the “Project”) located in the Salinas Grande Salar, Northwest Argentina. The first of the TEM geophysics profiles has been interpreted and potentially substantial aquifers exist over two 3 km x 2km x 180m depth areas. Preliminary highlights from the TDEMprogram (Figure 1) show the red zone as highly conductive. Interpreted aquifers outlined in black line (Figure 1) are likely to represent brine soaked sands and clay.The large blue structures in Figure 1 are black volcanic rocks that can been seen outcropping in Figure 3. On line one, the size of the two blocks in the low resistivity area is approximately 6,000m x 180m. Figure 1. Salinitas Project, Salinas Grandes – Blue dots represent survey lines along 26km. Figure 2. Blue dots represent survey lines and areas of focus for future trenching. A.I.S.has been advised that the Salta Department of Mines Administration is expected to issue drill permits within the next week. Upon full completion and interpretation of all TDEM data, A.I.S. plans to conduct trenching as well as an auger drilling program to test the shallow, near surface brine targets that may potentially contain anomalous concentrations of lithium and other elements. Exploration is being overseen by AIS’s Exploration Director and newly appointed CEO Phillip Thomas. Mr. Thomas specializes in development of lithium brine projects and previously acted as CEO of Admiralty Resources, where he was responsible for putting the Rincon Salar in Argentina into production. The Salinitas tenements are located in the lithium triangle at the Salar de Salinas Grandes, in the Province of Salta. 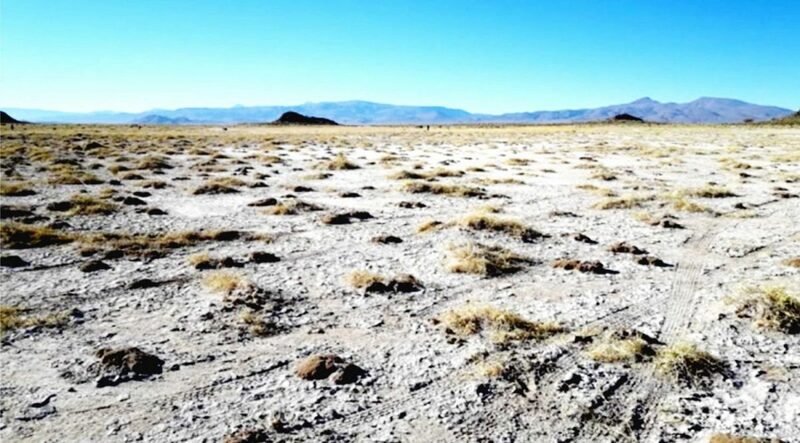 The 4,308 hectare contiguous land package resides in the Puna region of northwest Argentina near the border of Chile, an area renowned for its lithium- and potassium-rich brine resources. MGX has partnered with A.I.S. on the Project and MGX is currently earning an undivided 80% interest by incurring total exploration expenditures of at least US$1.2 million by May 31, 2020 and by making payments totaling US$3.2 million which are primarily due at that time. MGX has developed a rapid lithium extraction technology eliminating or greatly reducing the physical footprint and investment in large, multi-phase, lake sized, lined evaporation ponds, as well as enhancing the quality of extraction and recovery across a complex range of brines as compared with traditional solar evaporation. Phillip Thomas, BSc. Geol, MBusM, MAIG, MAIMVA, (CMV), a Qualified Person as defined under NI-43-101 regulations, has reviewed the technical information that forms the basis of this news release, and has approved the disclosure herein. Mr. Thomas is not independent of the Company as he is an officer and shareholder.